Jasmine (Blanchett), is a New York socialite who is deeply troubled and in denial. She travels to San Francisco to impose upon her sister Ginger as she tries to rebuild her life. 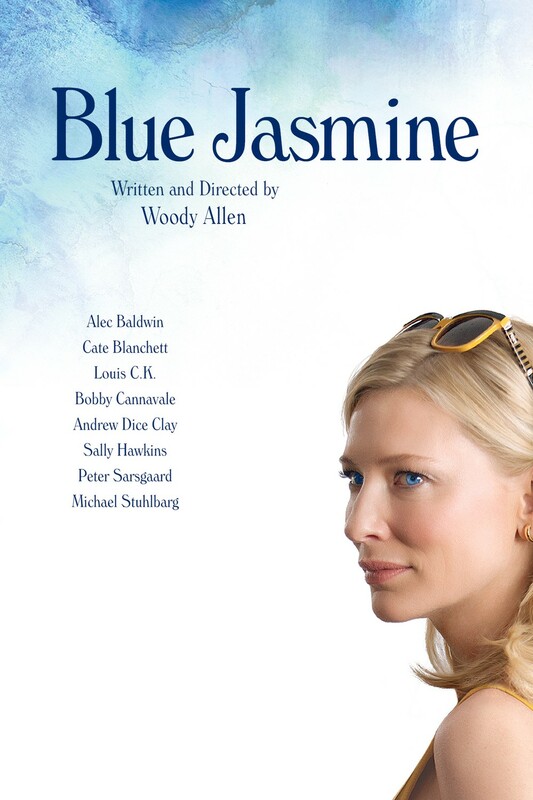 Though never openly stated, Blue Jasmine feels like a reimagined/updated adaptation of A Streetcar Named Desire. There are some clever moments in Blue Jasmine in terms of how gender is performed compared to how it is performed in A Streetcar Named Desire and is almost a commentary on the changes that both genders have gone through from Streetcar until now. In that regard, Woody Allen’s screenplay is very smart and sophisticated, which we have come to expect from an Allen screenplay. Cate Blanchett gives a career-defining performance as Jasmine, a woman whose life has fallen apart because of years of living in denial. She gives a performance with such emotional depth that she captures the emotional tightrope that Jasmine is walking perfectly and it is mesmerizing to watch. The supporting cast all do a fine job, however, Blanchett really is the star of the show in this film and she deservedly earned her Best Leading Actress award for this performance. Blue Jasmine is a smart, moving and at times funny picture, with top-notch performances and masterful direction and a brilliant screenplay by Allen and is a film that I would regard as a modern masterpiece.